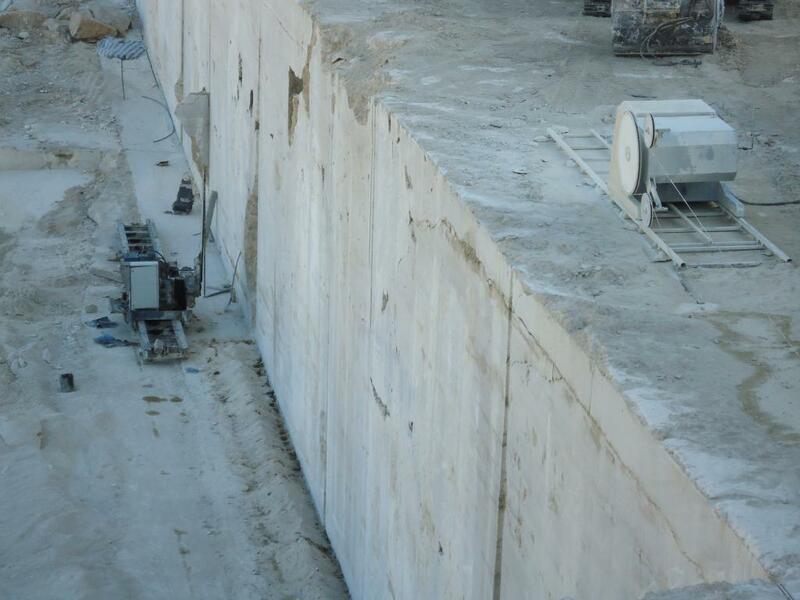 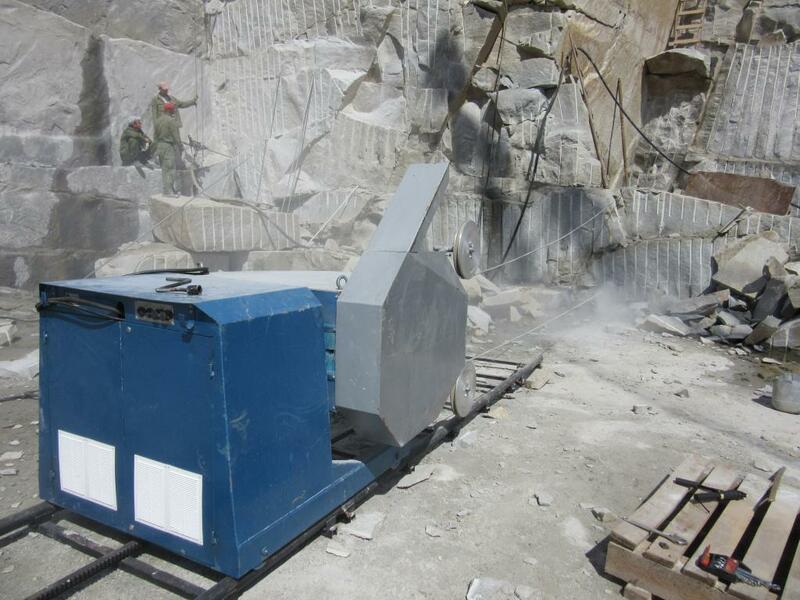 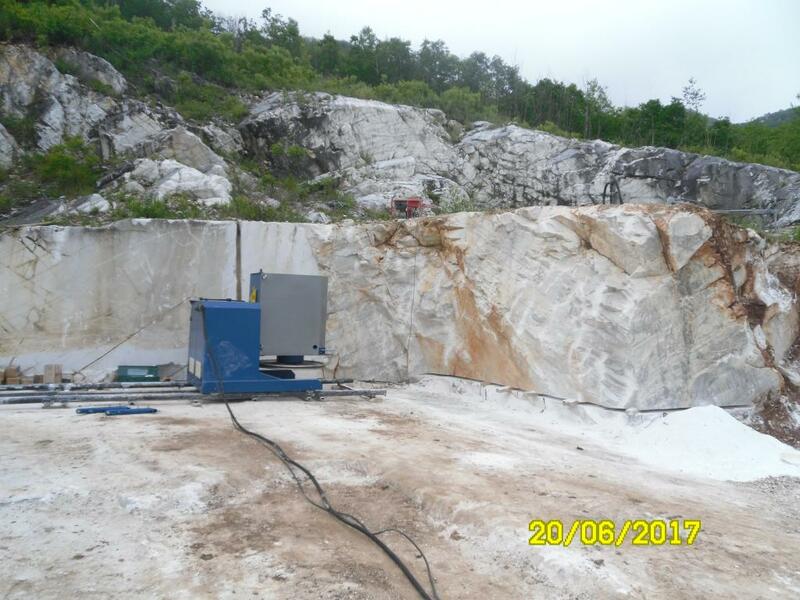 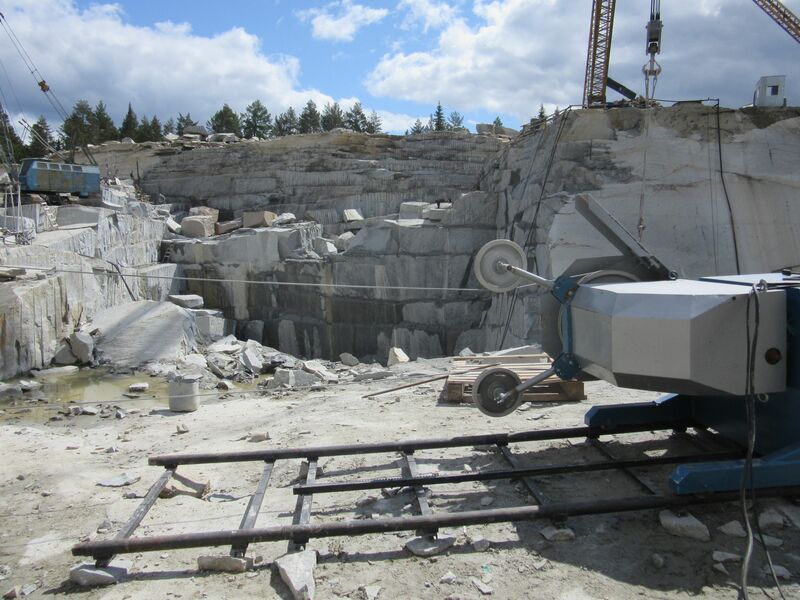 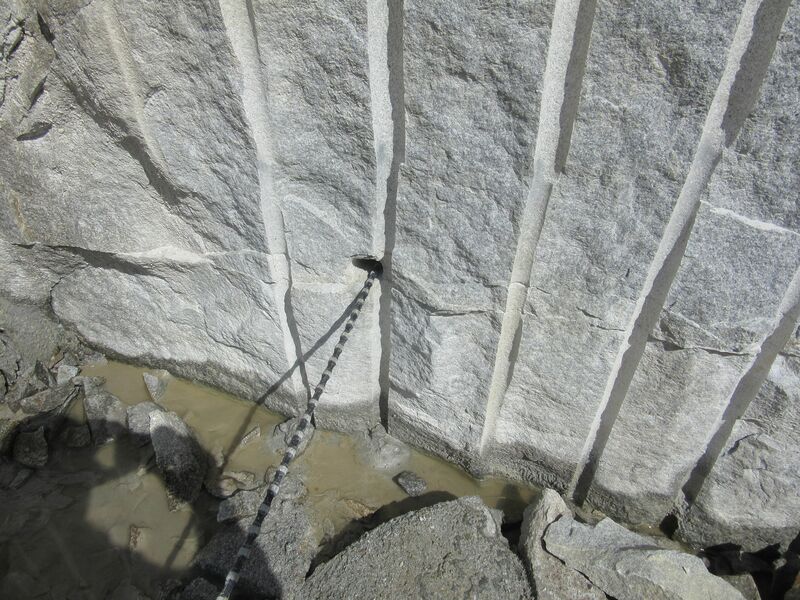 Diamond wire cutting machine «Nadezhda» is meant for extraction of natural stone blocks in quarries. 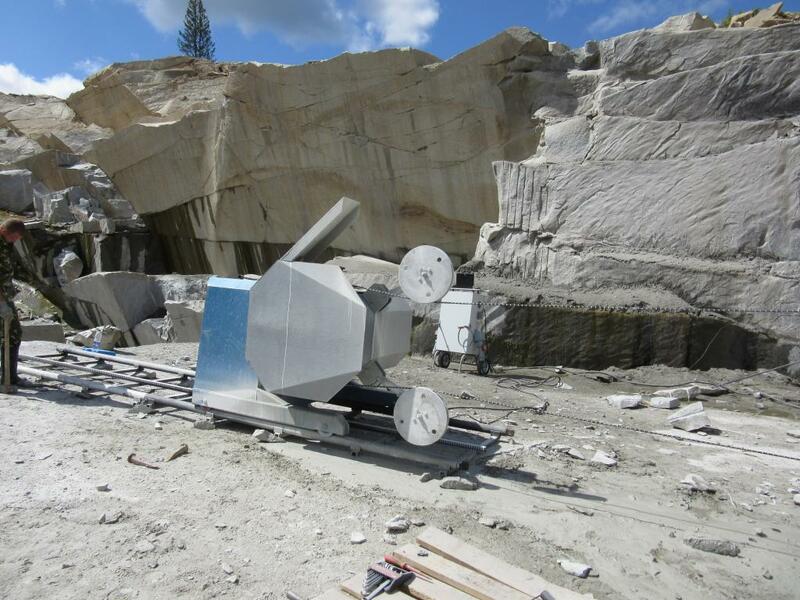 Machine makes any kind of cuts from vertical to horizontal. 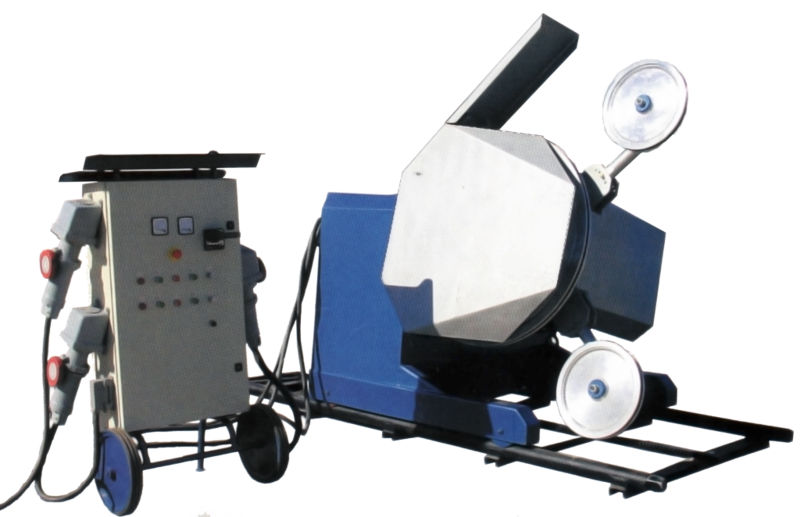 The carrier’s turn on 360 ° is made by force of the electric drive. 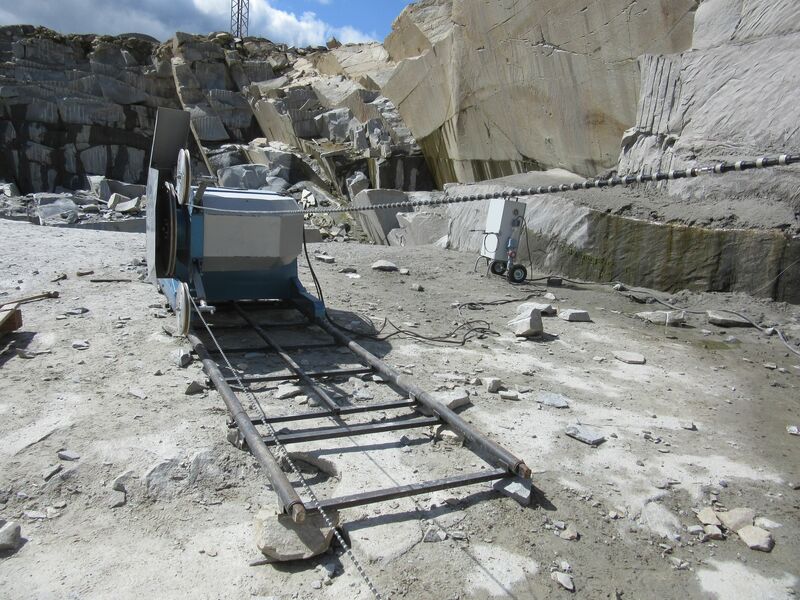 The machine also can be used for cutting blocks in quarry. 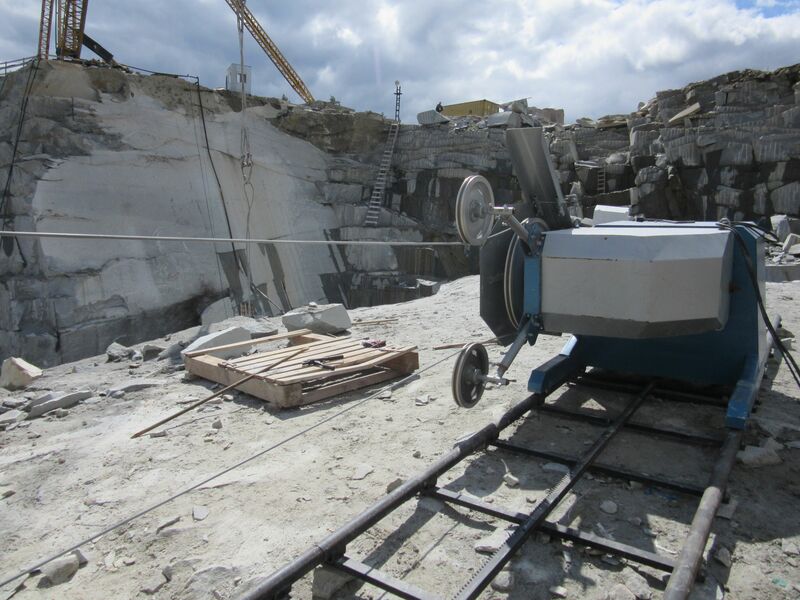 Control of the machine is carried out from the control console, located on the safe distance from the machine and connected with it by 15 metres long cables. 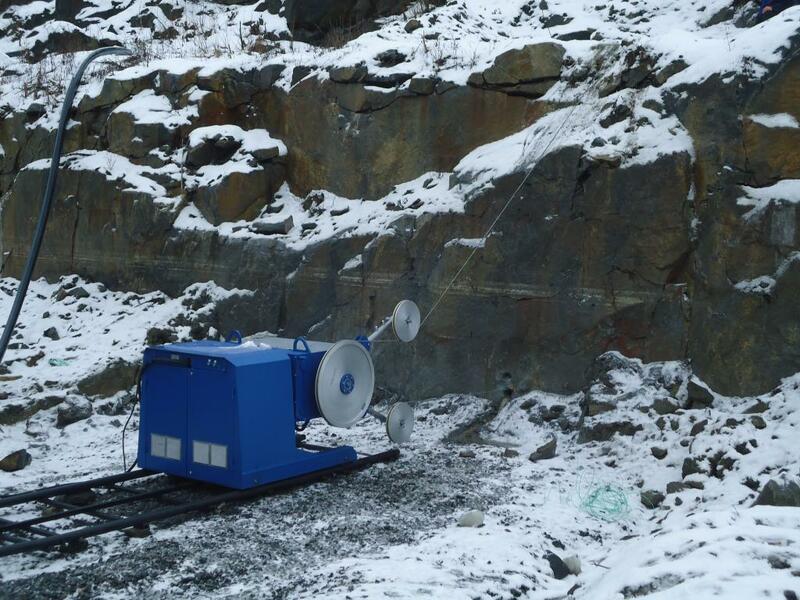 Main drive power 37/45/55 kw.